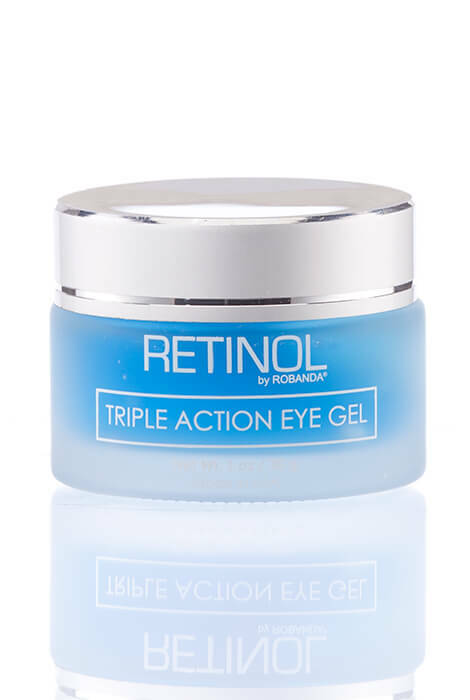 Refresh tired peepers with this Retinol by Robanda® Triple Action Eye Gel. 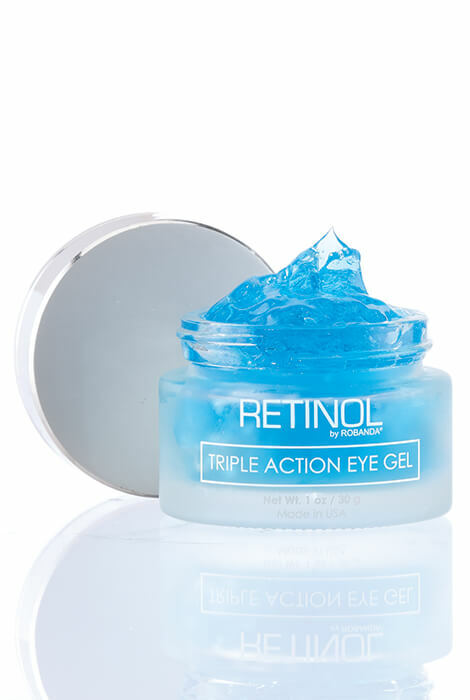 Made from 100% pure Retinol palmitate, the under eye gel penetrates quickly. Helps restore clarity, tone and elasticity to revitalize the eye area. Minimizes the appearance of fine lines, puffiness and dark circles. Suitable for all skin types. Apply gently morning and night on the eye after removal of makeup. To apply, pat the gel around the eye area with the tip of a finger. To use, apply gently morning and night on the eye after removal of makeup. To apply, pat the gel around the eye area with the tip of a finger. Apply gently morning and night around the eye area. To apply, pat the gel around the eye area with the tip of a finger.